Liberty Means Defending Someone Else's Right To Do What You Don't Like. So with hind site this blog will be a little bit out of order. First I’ll be discussing the progression of the Province we are building, then I’ll get into some more specific things that occurred during our Province building. The province building itself is going to cover 6 months of time. The fist thing we did after establishing our capitol city was to declare our first holiday! Gotta keep our people happy. We decided founders day would be the 1 yearly holiday we have every year. We’re possibly going to add some more in next year. We also passed an edict to promote ourselves to outside provinces and kingdoms. Basically we commissioned some political ads to go up in other places to get more settlers moving into our province. Next we claimed the plot of land next to our current plot. We built a castle around our capitol city so should the worst happen we have a way to defend ourselves. We also built a fishery and a farm next to the castle so our settlers would be able to be fed. The building of the castle was REALLY expensive, luckily with the resources provided to us by the other river kingdoms we were able to afford it. Next we built some mid-sized housing in our city so that our citizens wouldn’t have to be sleeping in tents anymore. On the other hex of land I mentioned claiming above we built another farm and fishery. It is pretty amazing how much people can eat, and how difficult it can be to manage food supply sometimes. Next we built an inn in our city so that travelers will have a place to stay when passing through. It also helps the local economy quite a bit to have that money coming in. Next we built a library and a brothel. Those travelers and our citizens are going to want to have something to read and someone to.. well, you know… Right about this time our citizens got unhappy with the fact that we had built a fishery so close to the castle. The ungrateful people were actually complaining about the smell of it. Never mind that half their food comes from the fishery. We decided as a group that they can deal with it since they’d probably rather eat and have to smell the fish rather than starve to death. We next built a town hall to conduct meetings and offer citizens a place to gather. We also took over a hex with a gold mine in it. +1 to our economy! Also around this time one of our fine citizens studying at the local library that we had built for them made some kind of knowledge break through (it was something to do with alchemy, not really my field so I don’t know all the details.) The helped increase how well known our little province was which should be really helpful in getting people to settle here! In the final month we heard more people complaining. We built a foundry next to the fishery and the citizens REALLY didn’t like that. We pretty much told them to deal with it. Even if it does smell bad its a good thing for the city. Eventually they’ll be able to expand out and move away from it. The current housing can become low income housing and everyone will be happy. The next big problem we ran into was some over zealous settlers moving into a hex that was not our property yet. They decided to build a mill there. Then these settlers decided to get into an argument with each other about which of them actually owns the mill. This group fighting was causing some unrest amongst the citizens in town. No doubt they have family members out there at this pirate mill. We’re deferring judgement for the moment about what to do with these squatters. During all this building time I had some downtime to myself. I spent the downtime working out and working on my skills. I feel much stronger about this now. One of the really cool things about my job though is that I’m getting paid 140 gold a month to be the warden of the province. I also decided to order myself a new shield with shield spikes on it. This will be a shield made out of a lighter material with a little magic mixed in to make it so I hit things a bit harder when I shield bash them. We managed to find some time to do a little more exploring further out from the province. We ran into a dryad who told us that a tree demon had been harassing her. While hunting down this tree demon we came across a new river. I’m of the opinion we should really start expanding the province in that direction. We’ll see. We managed to find the tree demon, he was about 20 feet tall. He took one swipe at me and beat me up pretty bad. Luckily our cleric was able to heal me right up. That’s all the adventuring I have time to update right now. More adventures coming soon! 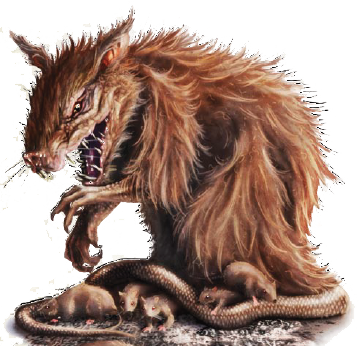 We headed to the basement of the fort and were immediately attacked by dire rats, a swarm of spiders, and a druid who had shape shifted into a wolverine. The Dire Rats we were able to take care of with no problems. The Wolverine took some hits to take out, but in the end our fighter ended up getting a critical hit and literally chopping the guys Druids head off. The Spider Swarm was another problem entirely. 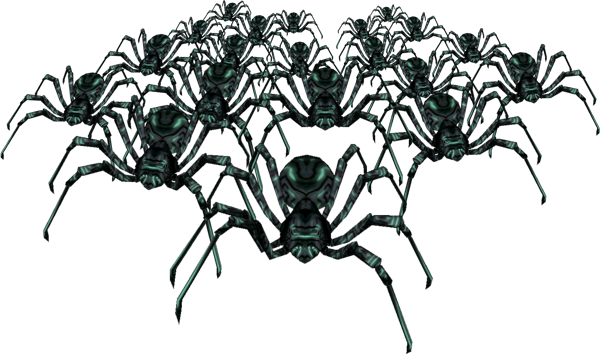 The problem with the Spider Swarm is that it kept poisoning people in our party. If our party wasn’t quick enough on its saving throw then they would continue to take damage for awhile after they were poison. Luckily I was able to get away long enough to avoid being poisoned. Once we got done getting rid of all these nuances, we were able to finish looting. We found LOTS of stuff. Some awesome equipment, and lots of treasure. I walked away with about 1800 extra gold pieces. Once we had gotten done ransacking the place we decided it would be a good base of operations for future missions in the area. We’ve named our new retreat Fort Tuskwater after the lake that it sits next to. I know I mentioned our former Paladin friend in the previous entry. We decided to ask him to stay behind and keep an eye on things while we headed back to Olegs Trading Post. We also asked the ex-Pally to talk to the gnomes and see if perhaps they would be interested in setting up a trading post in Fort Tuskwater as a way to make some money and help keep us supplied as need be. (Side note, we heard back later while we were resting that the Gnomes said they aren’t interested in setting up a trading post). At that point we left the Pally to his duties and trekked our way back to Oleg’s Trading Post. On the way back we stopped by the temple where I had met up with the group previously. The priests in the temple offered us each a Masterwork weapon for free as a thank you for killing the Stag Lord. I picked up a Masterwork Composite Bow. Finally we arrived back at the Trading Post for some R&R. We sold a lot of stuff to Oleg and went away with LOTS of Gold Pieces. We decided to take a week to relax at Oleg’s. While I was scouting and exploring around the trading post area I came across a young wolf. He looked scrawny and beat up. I was able to lure him to me with some jerky. Once he figured out that I wasn’t going to hurt him he started taking food from my hand, but I couldn’t get him to come with me that first day. After several days of meeting him in the woods he finally decided it was safe to come with me, and stayed with me in my cabin that night. He seems to be sticking around. I named him Skoll. “Be it so known that the bearers of this charter having delivered the northern reaches of the Greenbelt from the scourge of banditry, having provided detailed maps of the lay of the land, and having done no small amount of work in the exploration of said land and the culling of hostile monsters and indigenous hazards are hereby granted the right to rule. The nature and laws of rule are theirs to define, and the well being of this new nation is theirs to protect. In accordance for providing a stable nation to the south of central Rostland, let there be a generous stipend of funds, support, and advice provided to this fledgling nation as a token of Restov and Brevoy’s goodwill, such that future relations between kingdoms might be mutually beneficial. So witnessed under the watchful eye of the Lordship of Restov and by the authority granted by Lord Noleski Surtova, current Regent of the Dragonscale Throne. We decided that this new nation would be called Tuskwater Province, so named after the lake that is smack dab in the middle of our nation. The next step was to appoint cabinet positions in our government. Our Rogue has become ruler over the nation. Given that he tends to remain pretty neutral in all dealings, it seemed he was the best choice for it. Our fighter became the general of our nation, and will control its army (once it has one). I became the warden, enforcing law outside of the capitol and assisting the general as needed. Oleg (of the fmous Oleg’s Trading Post) agreed to become our treasurer, given how good he is with money. Our ex-Paladin friend agreed to become the Marshal of our new city, enforcing the law within its walls. This is where my journal entry will end for now. I look forward to more progress in the building of our nation. It is an exciting time for Tuskwater Province!